This past weekend a brilliant, talented, optimistic young man from our small town was killed by a drunk driver. Jennifer and I are friends with his parents, and our daughter was friends with him in high school. I have no words for the deep heartbreak I’m experiencing over this senseless tragedy, and cannot begin to fathom what his family is experiencing. There are just no words. All one can do is to think loving thoughts and provide what comfort we can if called upon. This is not the first time I’ve lost someone I knew to drunk driving. Plus, our family has lost loved ones to alcohol abuse. I have friends and colleagues that struggle against alcohol addiction. If there is to be any sense out of this young man’s death, it must begin with an examination of our souls of us who work in the alcohol beverage industry, and acknowledge the role our products play in countless injuries and deaths each year. If we are really honest with ourselves, we must admit that we don’t do enough to protect our customers. Slapping the government warning on the label and once in awhile adding the phrase “Please enjoy responsibly” or “Please enjoy in moderation” in minuscule fonts on ads or websites are useless and truly shameful efforts by both the government and our industry. We all know that drinking alcohol carries real risks. Yes, the majority of people that do enjoy alcohol – and I am one of them – do not partake in risky behavior while drinking the vast majority of times. But we would be denying truth that we haven’t ever done so; everyone, and I indict everyone that enjoys wine, beer, and spirits has, at one time or another, driven when we legally shouldn’t have, or done something foolish and wrong under the influence. Most of the time nothing terrible happens. However, that is just us playing the odds when we know we shouldn’t have. The only people who read the government warning are the label examiners checking for compliance at the TTB. And precisely what does “enjoy responsibly” or “in moderation” mean to the average person? One glass, two? 4 ounces at 48 proof? Over what period? With food or without? The phrases are meaningless without context. The alcohol beverage industry fought MADD and SADD when those organizations were at their heyday in the 80’s and 90’s. Most alcohol beverage producers worried about losing sales. But I do think the end result was very much for the positive; public awareness was heightened over drunk driving, tougher laws were enacted, and alcohol-involved driving fatalities declined – lives have been saved. But also note that alcohol beverage sales have increased since those years when the movements were at their most aggressive. When given societal boundaries regarding alcoholic beverages, more people responded by being more responsible, and more people buy and enjoy wine than ever before. Now, it is our turn: the alcohol beverage industry must be more proactively part of the solution. No, we won’t eliminate all deaths and injuries involving alcohol. Plenty of us liberals (and yes, I’m one of them) in the wine industry favor more gun regulations to reduce gun violence, and rail against the weapons manufacturers for stymieing efforts or not producing solutions. We dismiss their arguments that regulations won’t stop all of the bad guys from getting guns; we know it will stop many good people that momentarily lose control and hurt someone. It is hypocritical of us that we do not demand the same from our industry. Do not drink alcohol and drive. Do not drink alcohol if pregnant. Check your medications for complications with drinking alcohol. Prolonged, excessive drinking can cause health problems and addiction. Do not purchase for, or sell alcohol to people 20 years old or younger. Most people can enjoy one 5-6 ounce glass of wine, 12-ounce glass of beer, or 2 ounces of 84 proof spirits per hour without food, and will not experience prominent side effects; weight and size do affect tolerance. Two servings per hour will likely push your blood alcohol levels over the legal limit for driving. 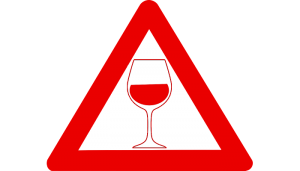 Stop drinking alcohol at least one hour before driving; more time is necessary if you have exceeded the above recommendation. Eating and drinking non-alcoholic beverages help slow the effects of alcohol only slightly. Tasting room employees, sales representatives, and management should all be RBS certified by the CA ABC. Tasting room employees and sales representatives should encourage spitting instead of swallowing when tasting. The above warnings and advice should be prominently displayed and provided as a takeaway for interested customers. Non-alcoholic beverages should be provided (gratis or sold) to non-drinkers and designated drivers. Every tasting room should have a comfortable area available for customers that need to wait until they can drive safely. Employees should encourage customers to take advantage of such an area when needed, even at closing time. Every tasting room should have mass transit options available and on call for those customers that cannot drive safely. Tasting room employees should receive a bonus for doing safe serving practices. Provide proper serving size recommendations on our wine labels (e.g., one 5-6 ounce glass per hour). Yes, the above costs money to do. These are our customers – those hurting and being hurt by the misuse (accidental or intentional) of our products. Our industry has an ethical obligation to help reduce injuries and deaths by alcohol. By helping our customers enjoy wine, beer, and spirits safely, they will appreciate it all the more, and hopefully enjoy it more fully and longer throughout their lives. Let’s bring a modicum of sense to all of those that are senselessly hurt or killed by the products we make. We can save lives together.